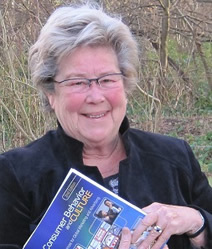 Marieke de Mooij Ph.D. (Netherlands), Doctor in Communications, is a retired professor of international advertising at the University of Navarre (Spain), a consultant in cross cultural communications, and has been visiting professor at various universities around the world. She is the author of several publications on the influence of culture on marketing and advertising and communications. 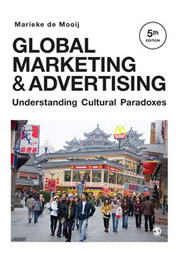 Her book Global Marketing and Advertising, Understanding Cultural Paradoxes (fifth edition, 2019), Sage Publications (UK) is used by practitioners and universities worldwide. A more specialized book is Consumer Behavior and Culture. 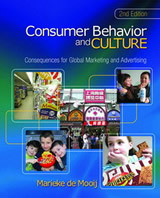 Consequences for Global Marketing and Advertising (second edition, 2011), Sage Publications (USA and UK). A third edition expected in 2020. 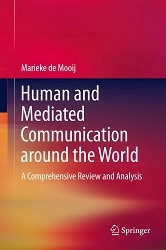 A book on communication theory around the world is published by Springer International (2014): Human and Mediated Communication around the World. A Comprehensive Review and Analysis. My research and consultancy work focuses on the influence of culture on communication, consumer behavior and advertising. Consumers worldwide are not the same, and the differences in consumer behavior between countries increase with greater wealth. With increased wealth cultural values become manifest. These values are reflected in consumption, in communication and media usage. In many domains of life consumer behavior across cultures is diverging instead of converging. Because all aspects of consumer behavior are culture-bound, and not subject merely to environmental factors but integrated in all of human behavior, there is an increased need to identify and understand this integration and its impact on global marketing and advertising. This website offers information on my publications. To professors who use the fourth edition of Global Marketing and Advertising or the second edition of Consumer Behavior and Culture as required text, Sage Publications has opened a companion website with teaching materials: the original TV commercials and color print ads, used as illustrations in the book, power point presentations and other teaching aids. Information requests or suggestions by users of my books are welcome (see address below). Consequences for Global Marketing and Advertising. Warning: Several internet booksellers offer a cheap (appr. $10) Cram101 Textbook Outline by Academic Internet Publishers stating me as the author. This is not written by me. It is a glossary of legal terms, a list of words with explanations that do not relate to the book. Useless and misleading. Human and Mediated Communication around the World. A Comprehensive Review and Analysis. The book Human and Mediated Communication around the World offers a comprehensive review and analysis of human communication and mediated communication around the world. It challenges the assumption that Western theories of human communication and mass communication have universal applicability. The book covers the influence of culture on interpersonal communication, mediated communication and mass communication. It presents communication theories from around the world, incorporating a vast body of literature from North America, Europe, Asia, Africa and Latin America. It also offers an integrated approach to understanding the working of electronic means of communication that are hybrid media combining human and mediated communication. See preface and contents.